Aggressive tackling is the top priority for the Blitzboks when they complete the Saturday schedule with a blockbuster showdown against New Zealand in the Cape Town Sevens. 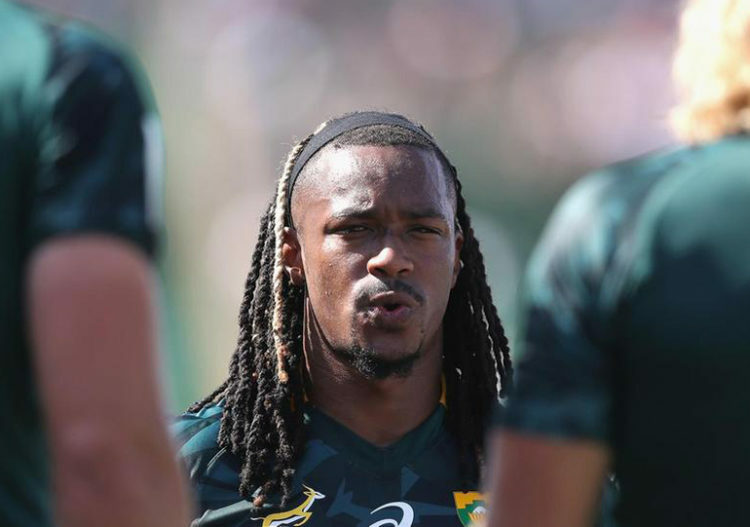 “We need to make better tackles,” said Blitzboks veteran Branco du Preez, who has amassed 1175 points for the Springbok Sevens team in 310 matches. The All Blacks Sevens contenders clinched the Dubai Cup and arrived in South Africa as the early leaders in the 2018/19 World Rugby Sevens Series. New Zealand are also the reigning Cape Town champions and, drawn in the same pool as the hosts, their clash against the Blitzboks is sure to bring a climactic close to the tournament’s pool phase. South Africa won the 2017/18 world series on the back of a ferocious defence, fuelled by superior levels of conditioning, but the absence of Tim Agaba, Kwagga Smith, Ruhan Nel and Dylan Sage manifested itself in a lack of firepower in the tackle fight last week. Similar issues may catch up with the Kiwis in Cape Town as a run of injuries saw them contest last week’s final with only nine players, and they’ve had to replace Kurt Baker, Akuila Rokolisoa, Scott Curry and Sam Dickson with Trael Joass, Etene Nanai-Seturo and Taylor Haugh. Blitzboks finisher Werner Kok is on the same page as Du Preez, a cohesion he blames for South Africa’s slow start to the season. The Blitzboks kick off their Saturday schedule with matches against Samoa (12.27pm) and Zimbabwe (3.48pm) before lining up against New Zealand on Saturday night (7.56pm). Geee Whizzzzz, please oh please dont let Herman anywhere near this article,–LOL. The players themselves say they won last year on the back of strong defence but he is going to give us 500 lines explaining why that isn’t so. very good article. this is the kind of team that we want. they were the best balanced team in all the competition the last 3 years. so consistent. great attack and great defence. that is all we asking for. attack being the best form of defence and our priority. then aggressive defence being a tool to get the ball back. not keeping out teams. i am sure no one can accuse the Blitzboks of being boring. with Fiji they have been the most exciting team in Sevens in the past three years. not even New Zealand can compare with them in the past three years. yes boys. sort out that defence then we back. they actually did as shown by their game with Fiji in that final.